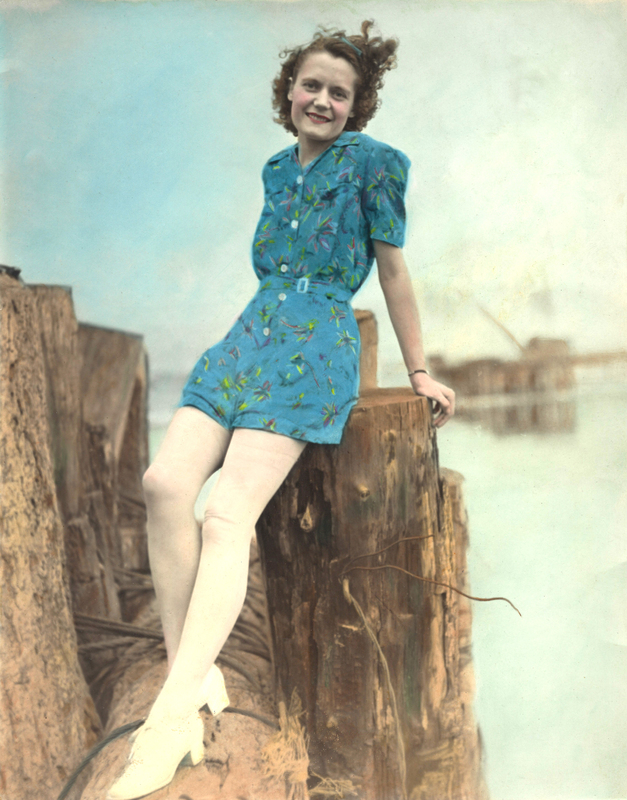 I am so impressed with my Great Grandmother’s hand coloring of this photograph of herself. Me too! Wow, is that a romper? The detail on her clothes is stunning.